Because of our CSA, eggs are the cheapest, easiest-to-obtain, ethical protein source I have. People just don't make things like this anymore. Start with a 1/2"-thick slice of good white bread. Toast it and put a good amount (about 1/2 tablespoon) butter on it. Top bread with two hard-boiled eggs, sliced in quarters. Top the eggs with Medium White Sauce and parsley. Eat immediately, because there's nothing worse than cold béchamel covering cold eggs. This recipe for Creamed Eggs comes from my 1950 Betty Crocker cookbook. Make sure everything is ready at about the same time (see recipes below), so that this dish is as hot as possible. I started the eggs first and when the eggs had a few minutes left, I started the sauce. After the sauce had boiled for a minute, I started the toast. You can peel the eggs while the toast toasts and the sauce heats. I boiled my eggs for seven minutes, so the yolks stay a bit gooey and I don't get those icky green rings around the yolk. Just bring water to a boil and set the eggs down in it with a slotted spoon, keep boiling 7 minutes, then take the eggs out (with a slotted spoon, not with your hands!) and cool under running water before peeling. You'll need two eggs per person for this recipe. Eggs should also be a couple of weeks old, so that peeling is easier. Melt two tablespoons unsalted butter over medium-low heat, then whisk in two tablespoons of all-purpose flour, 1/4 teaspoon salt and 1/8 teaspoon pepper. Cook for 1-2 minutes. Remove from the heat and slowly whisk in 1 cup whole milk. Return to the hob. Bring sauce to a boil and boil for one minute. Turn heat down to low, stirring frequently. You can keep it on low for 5 to 10 minutes, while you finish getting everything else together. I was skeptical, but this dish is pretty tasty. It's what one would call "good, honest food," meaning that the predominant flavors are fat and salt. It's not terribly exciting, but it's quick and a good way to make two eggs feel like a good amount of food--classic WASP cooking. To further illustrate my point, click here for a review in The New York Times (March 23, 1986) of Perfection Salad (recommended to me by Laura), in which the reviewer discusses the snazzy cousin of Creamed Eggs, Eggs à la Goldenrod. The only difference is that in Eggs à la Goldenrod, the yolks are taken out of the eggs and then sieved over the top of the dish as a garnish. I would have tried it, but I was afraid my yolks weren't firm enough. 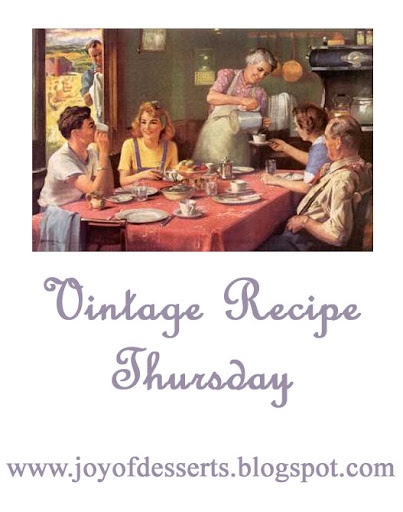 This post is linked to Vintage Recipe Thursday. 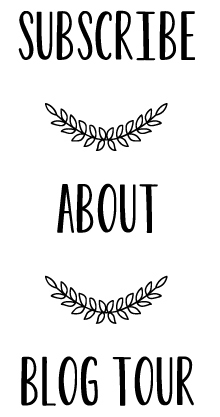 Be sure to check it out--just click on the image. Another big hit of 1950 was Teresa Brewer's "Music! Music! Music!" of which I am intimately familiar due to many choir rehearsals. Because of all those years in honor choir/show choir/madrigal choir/church choir, I have songs stuck in my head most of the time (and sometimes I even have matching choreography). Ha. That's embarrassing--even for me. But I could probably be persuaded. Who am I kidding? I have no shame: I have tap-danced in the Wal-Mart automotive department. LOL. In the Wal-Mart auto dept.! That's a catchy tune. Music, Music, Music! Your CSA eggs are gorgeous with those orange yolks, just the way they should be. Looks like a really tasty dish. Thank you for participating and linking to Vintage Recipe Thursday. This looks great Lauren. It's a dish I have never seen before, but I bet it's delicious and filling. Creamed eggs, yum! And they look extra delicious on your pretty plate. ohh how simple yet decadent! BTW, I shimmy in the grocery store ALL the time. Hubby too! Love that you tap in the auto aisle. Awesome! I love eggs, so I think this looks great! I, also, have the songs and choreography in my head...How many concerts/practices did I go to anyway? Hundreds! Plus costume duty. Remember the "Flying Down to Rio" ruffled sleeves? Wait . . . you were in show choir? Like on the show Glee? BTW, your eggs look perfectly done. I usually get that faint green ring. I will have to try your method. Show choir was a bit like Glee, but at a performing arts school, people don't get bullied for being in show choir! Also, evil gym teachers never tried to shut us down, the choreography was better (I always wonder, who does the lame choreography on that show? ), and we didn't sing anything newer than songs from the 1970s (and that was very rare). But we did have to perform for the school, at Oktoberfest, at a pageant, at the mall, you name it. We always had to go to competitions, but I don't remember if we won anything or not. I guess I wasn't terribly worried about it! As long as I got to cha cha while singing Xavier Cugat's arrangement of "Cherry Pink and Apple Blossom White," I didn't much care what else was going on.